Welcome to the web site of Kintzinger Harmon Konrardy, PLC. We are a full-service law firm dedicated to meeting the needs of people throughout Iowa, Illinois, and Wisconsin. We are conveniently located in downtown Dubuque, Iowa. Our attorneys and support staff are eager to meet all of your legal needs. Kintzinger Harmon Konrardy, PLC has aggressively served the Tri-state area for over 100 years in personal injury lawsuits, divorces, criminal defenses, bankruptcy, probate and estate planning, along with many other legal areas. Since our inception in 1897, we have prided ourselves on providing quality representation that is client centered and results oriented. We recognize that your legal needs are of the upmost importance and you deserve the care and attention necessary to successfully accomplish your goals. Contact us today, and speak with one of our experienced lawyers. Iowa Law School Pro Bono Outline. 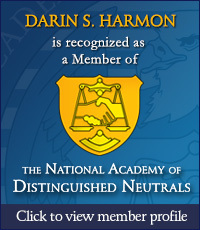 Darin Harmon has received certification in Collaborative Law. Darin Harmon has been named to the NAFLA (National Association of Family Law Attorneys) top ten family law attorneys in Iowa. Congratulations to Arnie Van Etten, who is retiring after 55 years of distinguished service to our clients and the Iowa and Illinois bars. Brian Peters was the recipient of the Iowa Bar Association Rolland Grefe Pro Bono Publico Award in 2014. * The Supreme Court of Iowa does not certify lawyers as specialists in the practice of law and that certification is not a requirement to practice law in the State of Iowa.